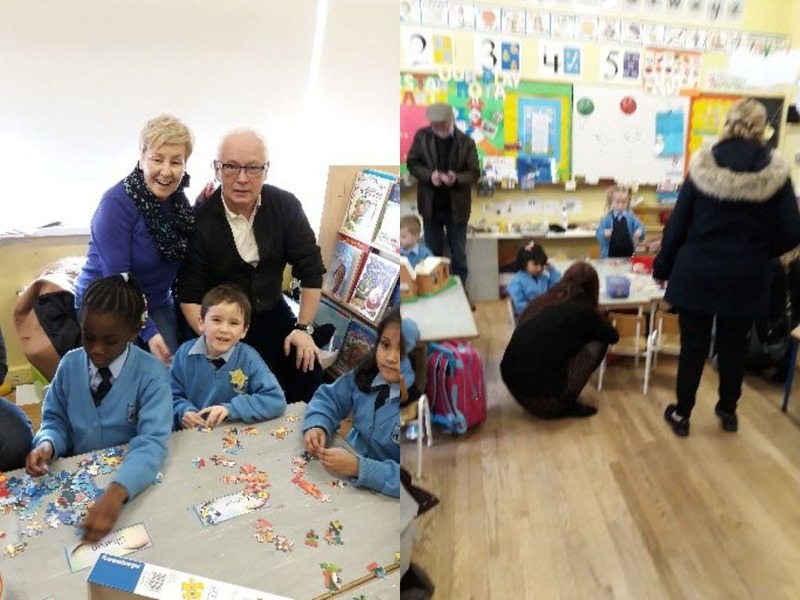 We had some very special visitors arrive at our school this month-our grandparents. 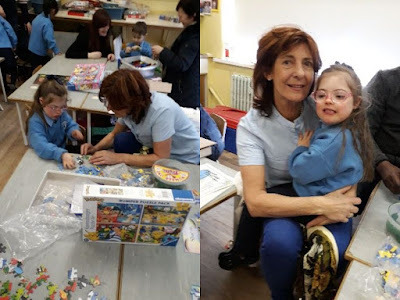 Some grannies and grandads came to visit our classroom-they played games with us and we were proud to show them what goes on behind the red door. 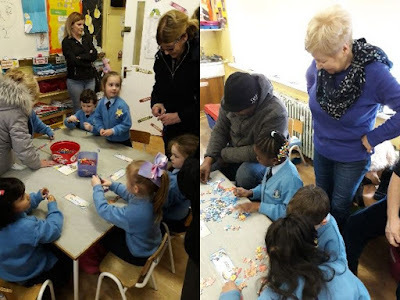 We listed some of the things we have learned in school so far! 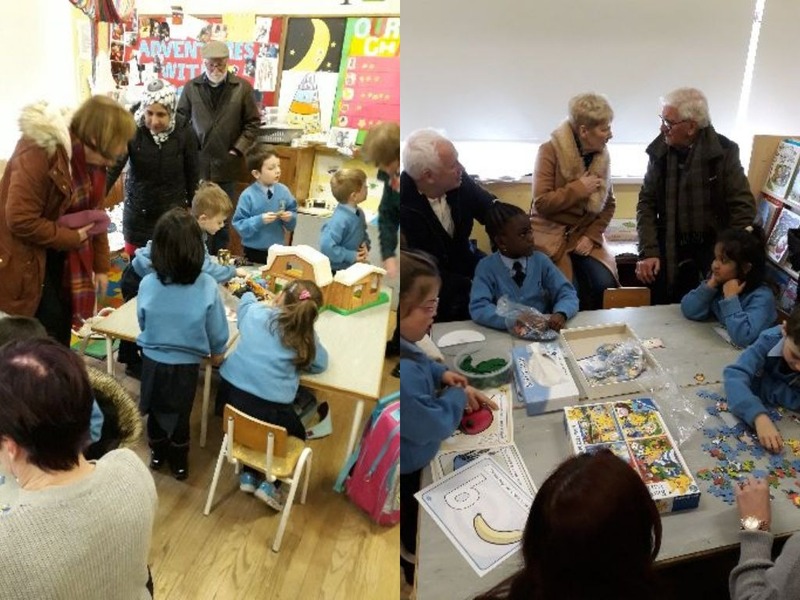 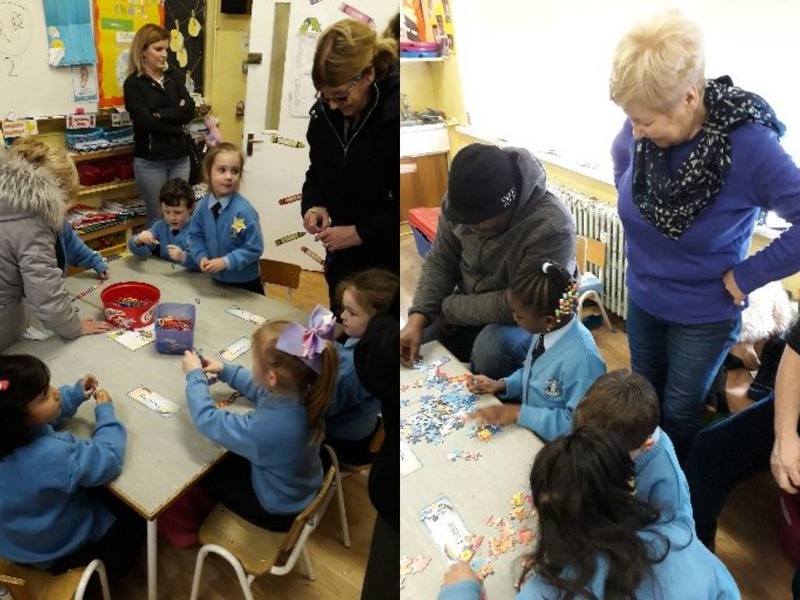 Children had the opportunity to show grandparents some of the hard work that goes on each day.